Fat Head Peppers, LLC. was founded in 2005 by Mr. Fat Head, Mark Jesse Sr. The fat head pepper itself was perfected 10 years ago out of Jesse’s determination to create a "bigger, fuller, better pepper". His combination of peppers, Prosciutto, Provolone, oils and spices soon became a family and friend favorite. Even his usually feisty mother-in-law, Dolores Sena, loved them. She provided the inspiration for the name and formation of the company. She often called Jesse "fat head", but the nickname was more like a term of endearment. In fact, she constantly told him to go into the food business. And so he did. 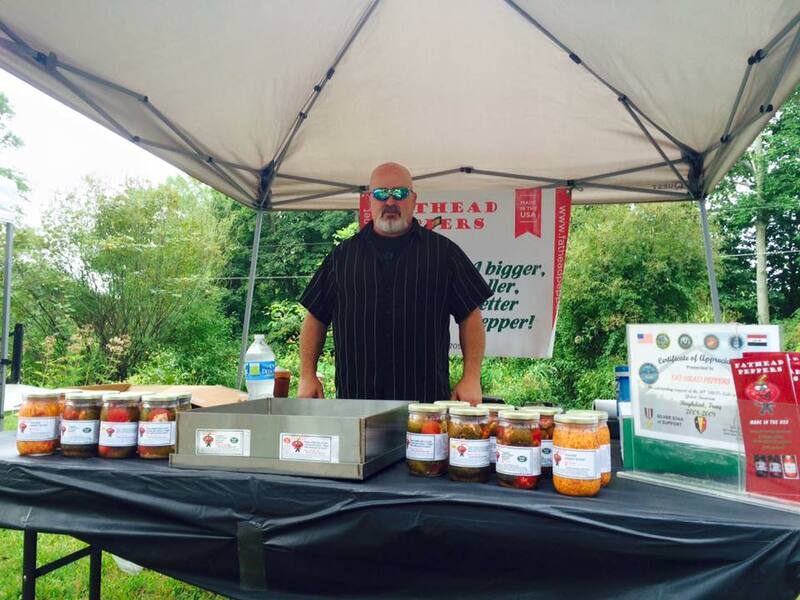 Fat Head Peppers is a family company whose mission is to deliver the perfect pepper made in the USA. 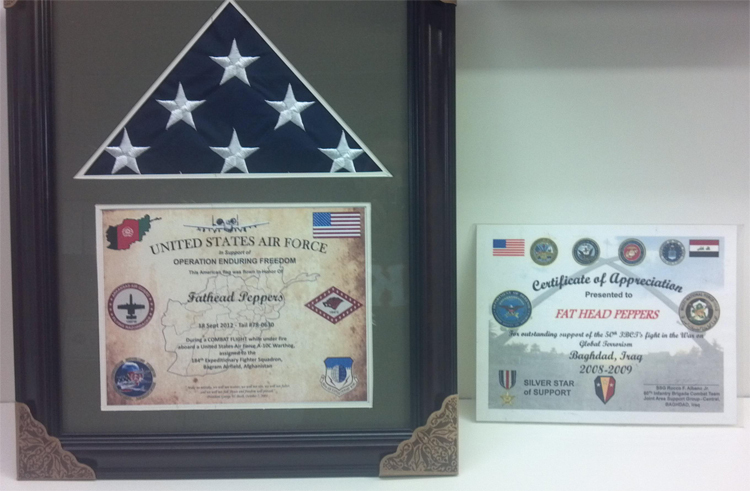 November 13th 2012, Mr. Fathead (Mark Jesse Sr.), received his second Certificate of Appreciation from the United States Military. His previous certificate was given by the United States Army, while his newest award was given to him by the United States Air Force. Fathead has been donating for years to our men and women serving over seas. These Certificates of Appreciation are what Fathead adores the most about being in business. He feels the ability to share his products with the Soldiers is the least he can do for them risking their lives to protect our country. Everyone at Fathead Peppers would like to thank the United States Military actives, reserves, and veterans for their continued appreciation of Fathead Peppers and their dedication to protect & serve our great nation! Copyright © 2011-2018 Fathead Peppers, LLC. All Rights Reserved.